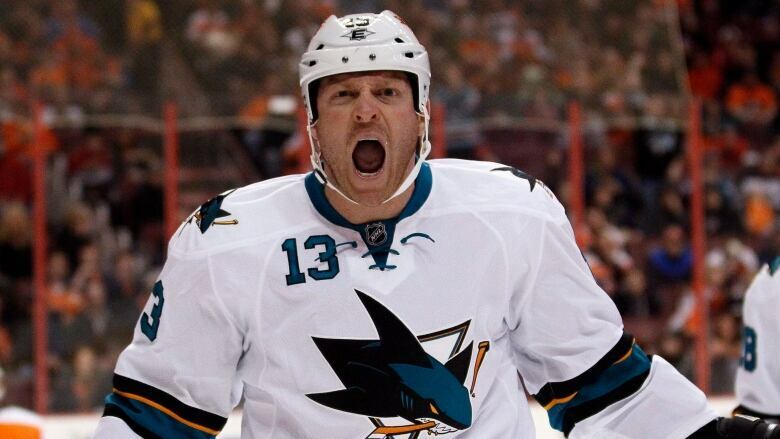 The Toronto Maple Leafs acquired the San Jose Sharks' 2017 and 2018 second-round draft picks and forward Raffi Torres in exchange for defenceman Roman Polak and forward Nick Spaling. Toronto Maple Leafs general manager Lou Lamoriello isn't waiting until the final hours before the trade deadline to make moves. Lamoriello continued to get ahead of the trade market Monday, completing his second transaction is as many days, a week before the Feb. 29 deadline at 3 p.m. ET. The Leafs sent defenceman Roman Polak and centre Nick Spaling to San Jose for second-round picks in 2017 and 2018 as well as forward Raffi Torres. Toronto landed a fourth-round pick and prospect Colin Smith when it dealt forward Shawn Matthias to Colorado on Sunday and also sent captain Dion Phaneuf to Ottawa in a nine-player swap earlier this month. "I always felt that if you could do it a little earlier [it's] better," Lamoriello said on a conference call shortly after the trade was announced. The two most recent transactions add more draft picks to a growing haul for the Leafs. Toronto could have as many as 12 selections in the 2016 draft with nine in the bank for 2017 (including three second-round picks potentially) and eight for 2018. The Leafs want to give Mark Hunter, the team's director of player personnel and draft leader, plenty of opportunities to land prospects for the future. "I think the picks are the most important thing that we've got in these transactions," Lamoriello said, noting the ability to move picks for players down the line. Are the Leafs rebuilding the right way? Two second-round picks is a rich return for Toronto given that Polak and Spaling will likely fill depth roles for the Sharks, who missed the post-season last year and currently sit third in the Pacific Division. Polak was acquired by the Leafs in a swap for Carl Gunnarsson in the summer of 2014, becoming a valued veteran leader for the group this season. He became a favourite of Leafs head coach Mike Babcock for his competitive nature. "Roman, there's no question what his characteristics are," Lamoriello said. "He's a man. He's a player's player. He competes each and every night. He's somebody that you go into a foxhole with at any given time. … I just can't say enough about him." The Sharks hope Polak and Spaling will join the team in Colorado for a game Wednesday night. They are leaving a team tied for the fewest points in the NHL for one in the thick of the playoff race. "It's always good to play the games that actually mean something," Polak said. "If you have games that don't mean anything, you're just playing because you're playing. It's always good to go to a team that has a good chance in the playoffs so you can play for something and every game means something." Spaling was added in the Phil Kessel transaction last summer but was bothered by injuries this season. He snapped a 60-game goal drought in Toronto's overtime loss to Philadelphia on Saturday. The Leafs are likely to remain active on the trade front with a number of expiring contracts — P.A. Parenteau, Michael Grabner and Brad Boyes among them — still to move. Toronto opted not to add a veteran to their AHL affiliate, the league-leading Toronto Marlies, and instead re-assigned Torres to the San Jose Barracuda. Brendan Leipsic and Stuart Percy were recalled from the Marlies following the trade and could be in the lineup Tuesday when the Leafs host the Predators.